This topic contains 2 replies, has 3 voices, and was last updated by Gary Riesing 2 weeks, 6 days ago. Hey Moose, just wanted to say thanks for this website. Just looked at the manual section and found that it was for an Executour which is the second one that we got 3 years ago. Big help thank! Was wondering if you needed some funding to keep this sight up? Would like to contribute if I can. 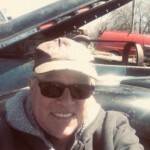 Also I have been given 2 Clarks that will never set sail again due to rust, I’m a farmer in the middle of Washington state and if people need to get some parts they are free for the taking, yes FREE. I don’t really want to take off and ship, maybe in my down time. I’m reserving the front clip that has the 318 but after that it’s there. If it is small and easy access and easy to ship I will do that. 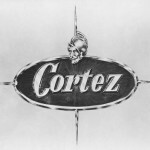 Have noticed on Cascade Cortez club an insurgence of activity, maybe these Cortes’s will finally get recognized! Again, thanks for the sight. Hey Steve! Glad I could be of service! Luckily it doesn’t cost me all the much to keep it going. Wish I had more time to add more info.